If you want to find the right serviced office to rent, you should consider what exactly you require from the property in Telford. The size of the serviced office in Telford will obviously be a major consideration, but what about access and proximity to local amenities? As soon as you are clear on what matters most to you, MOVEHUT is here to ensure your search for a serviced office to rent in Telford gets the right results. Every commercial property in Telford carries a classification relating to its accepted usage. Your serviced office search will be easier if you already know or are fully aware of what type of property classification you need for your business in Telford. Once you have your classification organised, and you know exactly what you want, get started and find a brilliant serviced office in Telford. If you're browsing for a serviced office to rent in Telford, you will discover that prices can vary greatly, making your job a little bit harder if you have a tight budget. Here at MOVEHUT, we list serviced offices to rent up to £250,000 per annum. MOVEHUT have enough choice to match your budget perfectly, so get your serviced office search started right now with us. After finding your dream serviced office to rent, it is likely that you will want to make an offer. 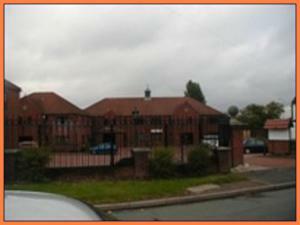 Making your offer to serviced office in Telford can be carried out by yourself or broker. MOVEHUT love it when visitors to our site leave happy with a new serviced office, so start your rental search today and join our group of satisfied customers in Telford. Browse all our serviced offices to rent right here at MOVEHUT, we have lots of choice and variety. Our site features and functionality make it easy for you to search by price range and office size in Telford. So why not begin searching now, we make it easy to find a great serviced office to let in Telford with our search functionality.